"Plumes from lit hearths ascend"
Beautiful writing, Rahul! Your poem captures the essence of winter in so few words! Very well written. Where I live, it is cold 8 months of the year and you have captured the essence of such an environment perfectly!
" Sun has surely lost some glow "
O this s soo beautiful poetry to welcome winters! Very nice!! Beatiful, beautiful song! I love the way you write! Lovely rythmn! I do love foggy cold days when the sun shines though! Beautiful poem! The imagery is lovely. nice one there...and so apt! Wow, love the rhythm. I love winters... winters are peaceful. and what it takes to write as beautifully as you do?? this is sheer awesomeness or maybe more than that..! but quilts and coffee make me think over it..! winters making their way back..
Sun will forget its path seriously. woolen clothes are almost out. I hope the snow can wait until Desember before it comes... The sky is often very blue and clear in Norway when we have snow. The words in this poem bring the images to my mind making it a verbal painting! I enjoyed reading your posts today! Thanks for your visit and your feed back Rahul. 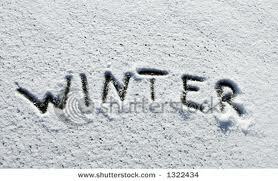 @ Gayatri- I am sure you will enjoy the thrills of a chilly winter. Very sweet remarks and a huge thanks! @ Francesa R- Thanks a lot for that nice remark! @ladyfi- So true! Winter with a spark of sunshine is awesome! @ Luar- So good to see you on my blog!Thanks for the generous praise! @ Ria- Am sure you have already started enjoying the chill in London! Thank You! @ Agnes- Yes sure totally agree! Thanks a lot! @ Crystal- So sweet remarks! Thanks a lot! @ Suvaiba- I am delighted that you liked it! Your creative writing is also wonderful! @ Rachna Chhabaria- Thanks for such a generous praise. Means a lot coming from someone with a huge caliber! @ PhilO- So true Juhi! Enjoy the frills of winter n happy writing! @ Ash- I am bowled over each time I come to your blog for the sheer beauty! Thanks for liking! @ Reicha- Yes the winters are here so enjoy the delights that come with it. Thanks for liking! @ Spiderdama- Norway turns into a dreamland in winter as I saw it once! Envy you to be in that lovely place. @ Anjuli- Am very happy that you liked this one! Thanks a lot! @ Padmaja- Welcome to my blog and thanks a lot for that nice remark! Your paintings were excellent! That's such a relaxing, poem... almost made me want to laze out in my bed with a warm cup of tea and a good book! Beautiful prose...just out of curiosity, your profile says you're from India, does it get really cold in winter or just in certain regions? I was there one December and whilst Delhi was icy cold, Mumbai was much warmer. @ Shreya - Am elated with your sweet comment.. Will endeavor to write so that you continue to like..
@ Sam- In India you can see temperature variation from -20 deg in Himalayas to +40 deg Celsius in some hot regions at any time of the year! Delhi is cold in winter and Mumbai remains fairly warm most of the time, as experienced by you. Thanks for liking..
Beautiflly written dear Rahul, I can almost see the thin mist desending. Wow I could see that child within you :) Lovely lines. Has the winter already set? Hmm, I guess I am oblivious to the weather change. Lovely poem, the pictures are beautiful! Thanks for the comments at my blog! @ Dianne- Thanks a lot for that kind remark! @ The BB- Chintan, I agree London weather could be depressing at times with no sunshine on cold days!But the glass of Rose Red Wine is always there to elevate the drooping spirit! @ Insignia- You just guessed it right! The child in me wants to enjoy winter even more :)Winter is slowly setting in! @ Art- Thanks a lot for visiting my blog and liking! @ Fernanda- Welcome to my blog! Have a lovely time ahead..